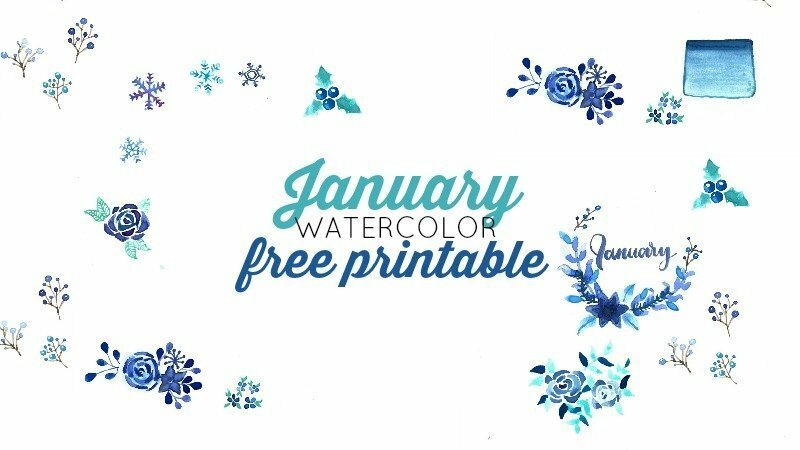 Decorate your bullet journal, planner, or scrapbook with this printable January watercolor freebie. Cut the individual designs out and use them as you see fit! If you follow me on Instagram, you may have noticed that I’ve been trying my hand at watercolor. Part of me absolutely loves the challenge, and the other part wants to crumple up everything I’ve created and set it on fire. But, I’m determined to become not just good, but great at this. Watercolor is relaxing, and while a completely new adventure for me, totally intriguing. I’ve spent countless hours watching watercolor courses on Skillshare and probably enough time to write a novel browsing Blitsy and Amazon for watercolor supplies. I might have early onset Grandma Syndrome, but I’m 100% okay with that. If it means I can craft and be creative all day, then let the Grandma-ing begin! With all the time I’m spending trying to become a famous watercolor artist, I have made some progress. Thank Goodness! And now, I’m going to share it with you! I haven’t previously shared any watercolor art of my own. But, today, I’m putting out my first watercolor freebie! 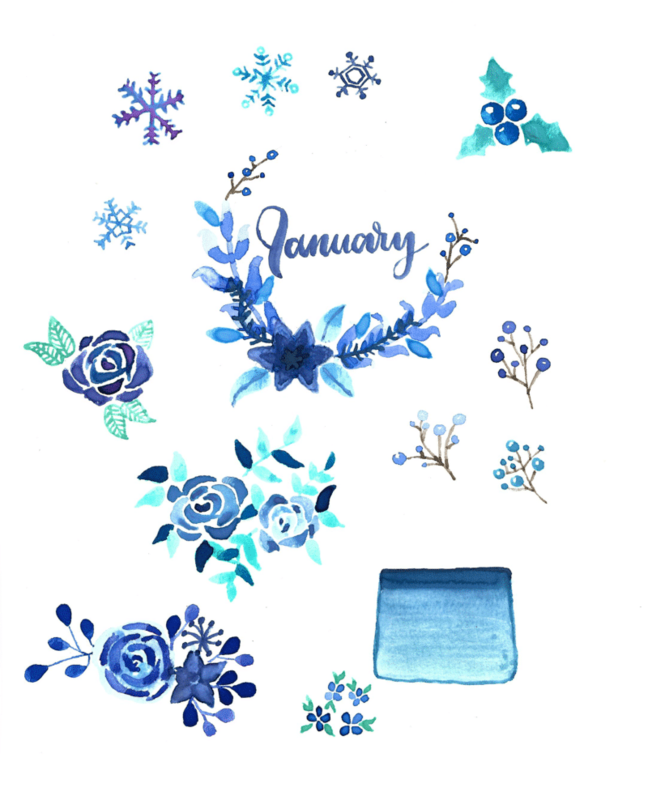 This printable is for January and is set with cool tones of blues, purples, and greens. It’s definitely seasonal. 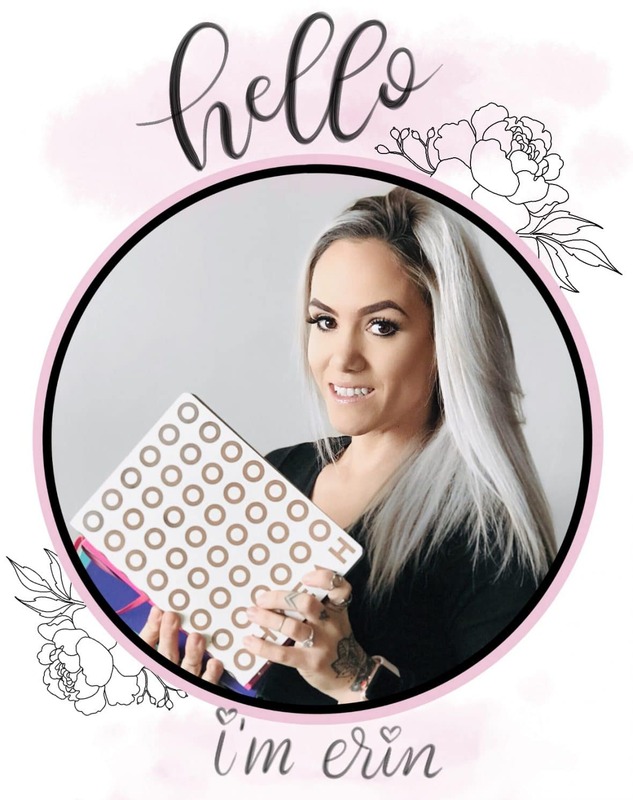 It includes 14 elements in total, including a January wreath, snowflakes, flower and twig bundles, and a blue ombre rectangle that can be used for a mini-calendar. I’m so excited about this that I’m already thinking about February. What do you guys want to see in a February watercolor freebie? Do you want it to be Valentine’s Day themed or something else? Let me know in the comments below so I can get to work with your ideas. 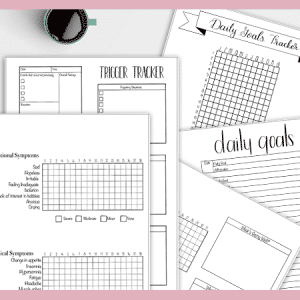 Gain access to all of my Free Printables when you sign up for my VIP Resource Library. It’s completely free in exchange for your email address. 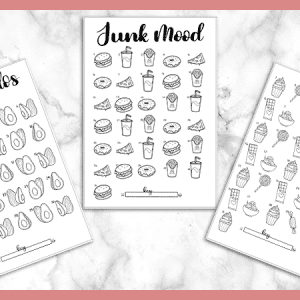 I hope you enjoy this printable watercolor pack and come back next month for more freebies. If you would like to share your creations with me, please tag me on Instagram, @the.petite.planner. 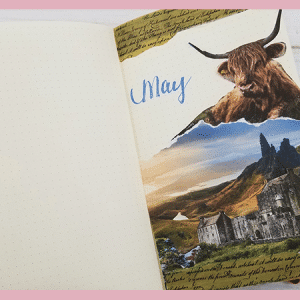 OR join my Facebook group, Rock Your Journal. I’d be absolutely honored. You should do a post about some of the techniques you’ve learned. I’m hoping to get watercolor supplies for Christmas and would love ideas. I am definitely working on a post for that. I want to make sure I’m being helpful, so it’s taking some time to really get the hang of things and then put together ideas. But thank you for the suggestion; I’ll definitely have a post up about it soon.